What Are The Health Effects Of Xylitol? Xylitol consumption increases the production of saliva, reduces the acidity of saliva, and slows down the degradation of tooth enamel. Saliva contains calcium and phosphate, which is reinserted into the teeth and aids in remineralization. Individuals have been trying to refrain from too much added sugar in recent years. Sugar-free chewing gum, candy, mint, and oral care companies have looked to natural alternatives to respond to the negative connotation of the unhealthy effects that go along with added sugars. In such a scenario, one of the most commonly used natural alternatives is xylitol. Xylitol is a sugar alcohol that tastes and looks like table sugar, but has fewer calories and does not raise blood sugar levels. Xylitol has a similar sweetness to table sugar but has 40% fewer calories. Every gram of table sugar contains four calories while one gram of xylitol contains 2.3 calories. This naturally-occurring compound can be found in small amounts in many fruits and vegetables. In addition, human beings process small quantities of it through normal metabolism. 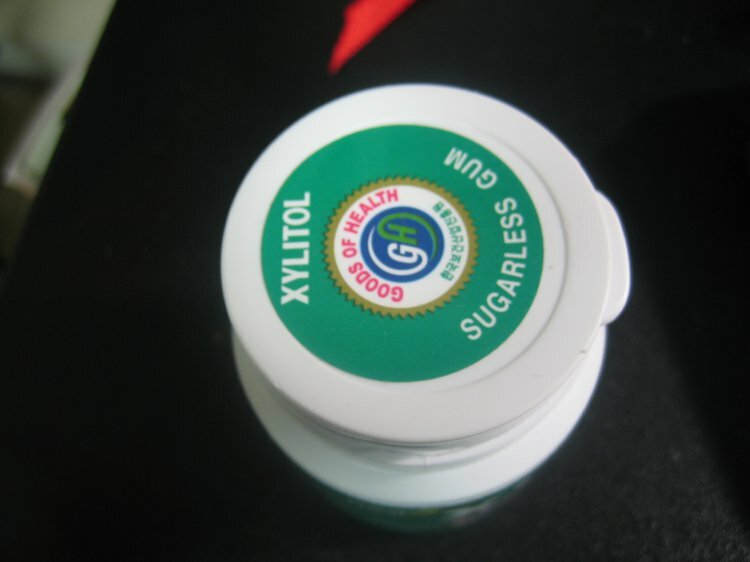 One of the appealing reasons to use xylitol is the low glycemic index score. Eating pure sugar can spike blood sugar and insulin levels. On the glycemic index scale, table sugar has a score of 60-70 while xylitol has a rating of only seven. A low glycemic score means that the food product does not spike and crash blood sugar levels. Xylitol is a wonderful natural alternative to sugar for those with diabetes, pre-diabetes, obesity, or other metabolic problems. Animal studies showed that xylitol could improve symptoms of diabetes, reduce belly fat, and prevent weight gain. Research published in the Annals of Nutrition and Metabolism studied the health effects of xylitol. The researchers found that food and fluid intake, body weight, blood glucose, and serum lipids significantly decreased. It was also discovered that serum insulin concentration and glucose tolerance ability considerably increased when rats consumed the xylitol instead of table sugar. Those who want to improve oral and dental hygiene can look to xylitol as it can kill the bad bacteria in the mouth. Many dentists recommend xylitol-sweetened gum because several experiments have suggested that xylitol prevents tooth decay. Research from the University of Lund revealed that though oral bacteria feed on table sugar from food, they cannot use xylitol. Replacing table sugar with xylitol, therefore, reduces the available fuel for the harmful bacteria. Some studies conclude that using xylitol in place of table sugar starves the bacteria and can reduce levels of harmful bacteria by 27-75% while having no effect on friendly bacteria. A myriad of studies show that xylitol can reduce cavities by as much as 85%. Xylitol consumption increases the production of saliva, reduces the acidity of saliva, and slows down the degradation of tooth enamel. Saliva contains calcium and phosphate, which is reinserted into the teeth and aids in remineralization. Most people can eat xylitol, but some people do experience digestive side effects such as gas, bloating, and diarrhea. One study conducted by Dr. Maklinen found that people who consumed an average of 3.3 pounds of xylitol per month, with a maximum intake of 400 grams per day, had no adverse effects to report.